As a board member of the Foundation for Airway Health, helping patients sleep better and not suffer with sleep apnea has become a passion of mine. Recently I was approached by the Advocacy for Fairness in Sports. This is a group that provides lots of information to former players regarding the NFL concussion lawsuit and settlement. The NFL is a multi-billion dollar business run by multi-billionaire owners who are fighting with everything they have to prevent having to pay for the poor health suffered by former players to do the physical trauma they endured while playing. The latest tactic NFL lawyers are using is to claim that players who suffer from sleep apnea are experiencing mental problems not due to all the head trauma they endured while playing, but because they are not wearing their CPAP devices. The science behind this is dicey at best, but that doesn’t mean a lawyer cannot argue it. Word has it that current NFL strategies to disqualify players from the concussion settlement can involve blaming the symptoms and effects of Obstructive Sleep Apnea (OSA). The NFL seems to be approaching this from the perspective of saying that OSA can mimic the same symptoms and problems of repeated concussive head trauma. The best way for this to be dealt with is to use a CPAP that tracks usage and then sends it to a secure website that is run by the manufacturer. While manufacturers and devices vary in the amount of data they can create, at a minimum tracking the amount of time the CPAP is used is crucial. Some machines will track pressure, mask fit, AHI, and time worn, among other statistics. Some CPAPs will store usage data in the machine itself, while others can connect to the user’s phone via Bluetooth. While both of these options are better than no tracking data at all, I feel that using an impartial storage system from the manufacturer will help head off potential arguments that data could have been altered. CPAP units such as the Philips Respironics Dreamstation connect to the manufacturer via a built in cellular transmitter and send the data directly to the Philips servers. This data can be accessed by your doctor and, if authorized, your insurer. This uploaded data allows your doctor to review your nightly statistics to better understand your condition. Reviewing the data can allow the doctor to make changes to the CPAP to better treat your condition and help you get more restful sleep. 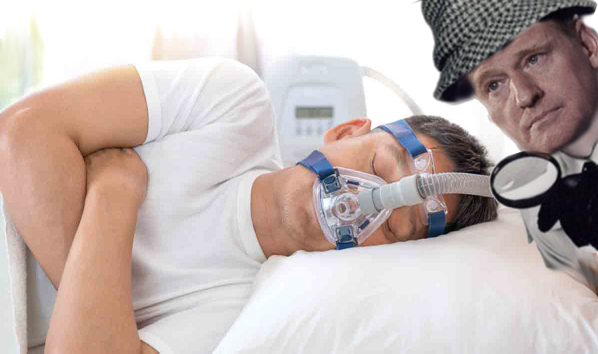 Your health insurance company may request access to this data to prove that you are using the machine as instructed and therefore help you pay for your CPAP supplies. Obviously with doctors and insurers relying on this data, this aids in verification that you are using your device as prescribed which should proved that OSA is not the cause of your problems. As an aside to this if, despite CPAP usage your numbers show you are still being deprived of oxygen while you sleep, you should consult a dentist who treats sleep apnea. Often mouthpieces can be created and worn while you sleep to correct airway problems. Some patients wear only these specialized mouthpieces without a CPAP while more difficult cases require a mouthpiece and a CPAP. If you have questions about your CPAP and recording data, ask your doctor or check the company’s website. It’s important for these records to be kept to help protect you. Editor’s Note: Special thanks to Dr. Flucke for providing this valuable information to instruct players with sleep apnea as how to best preserved their rights in the NFL Concussion Settlement, as the NFL has been questioning dementia diagnoses of players with this condition and blaming impaired memory and function on the sleep apnea as opposed to concussive hits in football play. Some players have been required to provide proof of using a CPAP and Dr. Flucke has provided great instruction in this regard. You can follow him on Twitter @jflucke .